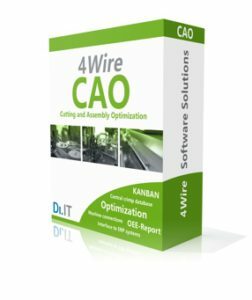 The integrated software solutions 4Wire enables the efficient control of all wire harness production areas, from the cutting area to assembly and right up to shipment. The modular design of 4Wire software solutions allows to introduce the systems in a flexible way, step by step, and geared to the needs of each company. 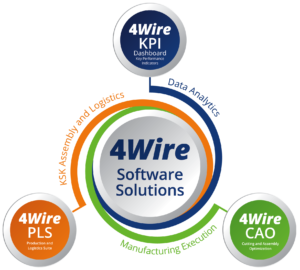 4Wire solutions are easy to integrate with SAP and other ERP-systems. In the customer-specific production of wiring harnesses, characterized by its great variance, data exchange can be entirely handled within the DiIT systems, so that the feedback to the ERP is only on finished products level. 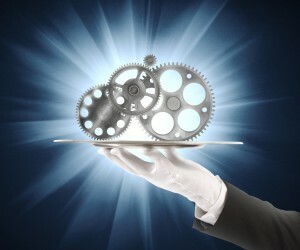 This procedure highly reduces the data volume and the complexity in the ERP system.